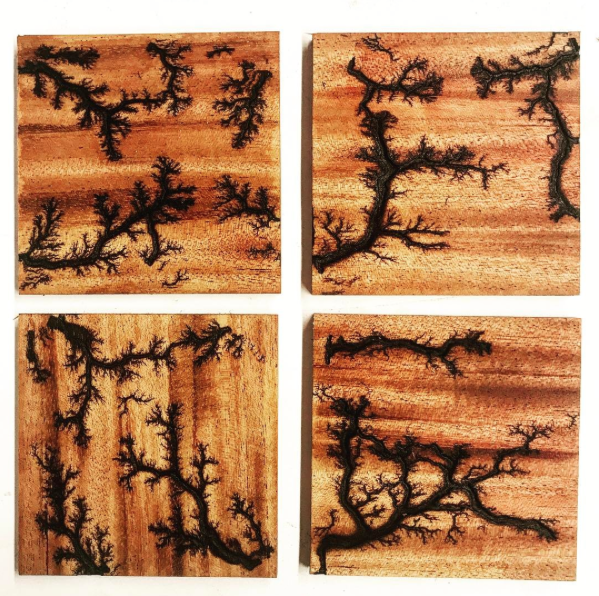 Join Jay and Sirie Keefrider for an evening of Wine & Design as they celebrate their First Thursday! 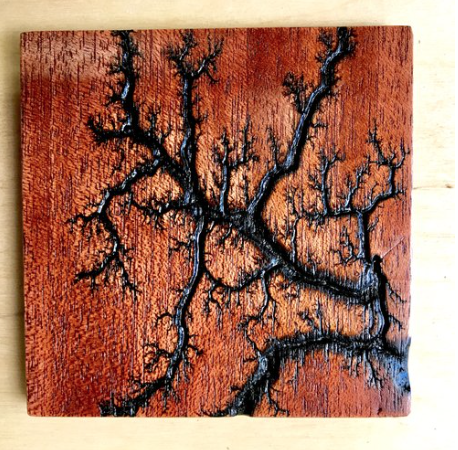 This unique figuring you see below is accomplished through passing high voltage electricity through the wood, otherwise known as Lichtenberg Figuring. The studio will be featuring pieces using this method and more so stop by the neighborhood and enjoy.